We are going to a friends 60th birthday celebration on Saturday night so I have made her a card. I got the instructions off the internet, a video by Collette Mitrega that you can see here. 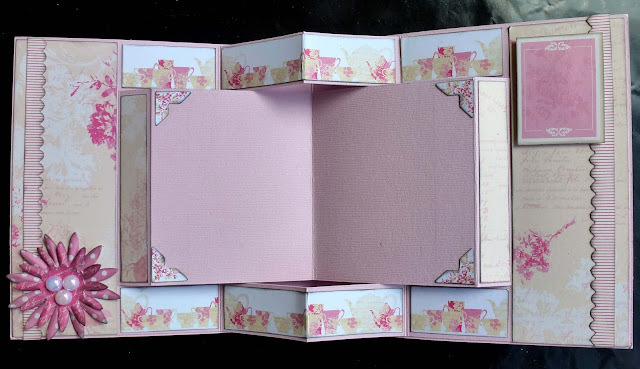 I have used the same sheet of cardstock for the two layers and a old Papercraft Designer 6" paper pad for the decorative papers. 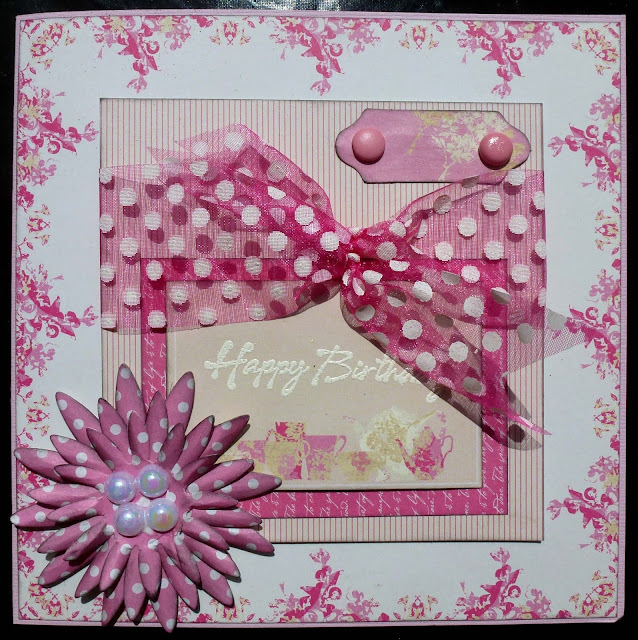 The sentiment is heat embossed with white embossing powder and the flowers are made using Leane Creative Multi Die flower 006. I have left the centre panel clear so that we can write our greeting there.